Initially, all creditors are equal in recovering their rights from the debtor’s money except those creditors that are granted the right to advance in accordance with the law. This concession entitles a creditor the right of priority to approach and obtain his claim from his debtor’s money before any other creditors. Permission for this priority is given when the priority of a debt is being separated from other debts and consideration is given only to a debt that guarantees recovery for creditor or the person whom a judgment is made for. An insurance loan is a contract that earns the creditor dedicated real estate to settle his pledge in kind, and as a result he has the right to approach ordinary creditors and those below him in ranking to settle his right through the value of the estate regardless of who it is held with. Priority is defined as an in kind right in that it entitles the creditor precedence to require consideration because of his quality and as decided by legal text. Debts that have a priority quality are known as preferential debts whereas those without this quality are known as ordinary debts. Priority rights are divided in civil law to public preferential rights and private preferential rights. A public preferential right entitles the creditor to recover his debt prior to any of the other creditors from the whole of the debtor’s money and is similar to the right of the state to recover income tax imposed on the mortgaged real estate. These are rights that are redeemed against the whole of the debtor’s money from moveable assets and real estate in accordance with the provisions of Article 1426 of the Civil Code. Certified listed bonds are paid to the creditors as part of the conditions set out in each of their bonds and in order of sequential priority ranks. A higher ranking creditor has a prevailing right over a lower ranking creditor. Discussion surrounds the situation where there is contention between the state’s rights in settling the moneys, resulting in custody of the mortgaged money from taxes and penalties, with the rights of the pledging creditor in a situation of execution against the mortgaged money and its sale at auction. Here is where a conflict lies between public priority (priority of state funds) and private priority (individual or company priority) and which of those has first claim to the value of the real estate that has been sold at auction, through the transfer of demanded rights from the property to the value. An interpretation of the Jordanian Judicial Council states that contention between the Treasury in settling its public preferential priority rights with a creditor with special priority results in the creditor with final position advancing in recovering his debt from the mortgaged money against the Treasury with a public preferential loan. The Treasury’s public right in recovering its debts and collecting them is a public preferential right, while those creditors pledging a real estate mortgage have a personal priority. Based on that, contention of the Treasury in recovering its preferential rights through public priority with a lender creditor with private priority causes the last creditor to supersede his ranking in recovering his debt from the debtor’s money against the Treasury with public preferential priority. Liquidation expenses including the liquidator’s fees. Amounts owed by the company to the employees. Amounts due to the state Treasury and municipalities. Amounts in lieu of rent due to the owner of real estate rented to the company. Other amounts due in accordance to the order of priority and in accordance with applicable laws. 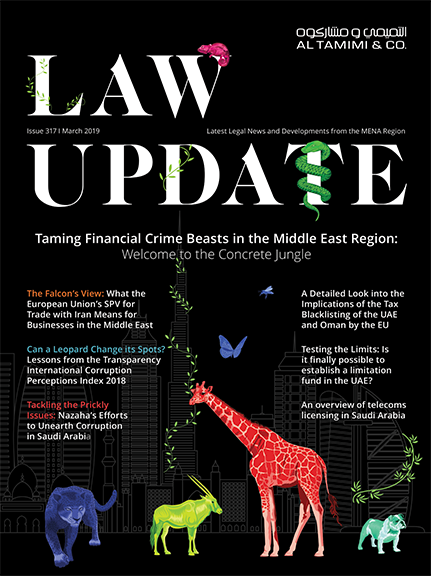 In accordance with the interpretation of the Jordanian Judicial Council of Article 256 Companies Law, the ranking of a creditor of a mortgaged loan against real estate who is attempting to settle his debt falling custody of the liquidated company follows ranking of priority rights set out in Article 256. Thus, in ranking, his position comes after rental moneys due to a landlord, as long as no other law contains another provision that sets out the advancement any preferential right in recovering against the creditor. The order of priority ranking that a creditor enjoys during liquidation of a company and sale of its assets and funds, including pledged moneys, follows the priority of ranking set out above and in more detail in Article 256 Companies Law No. 22 of 1997.